I think the words ‘right up our alley’ sum this up nicely. 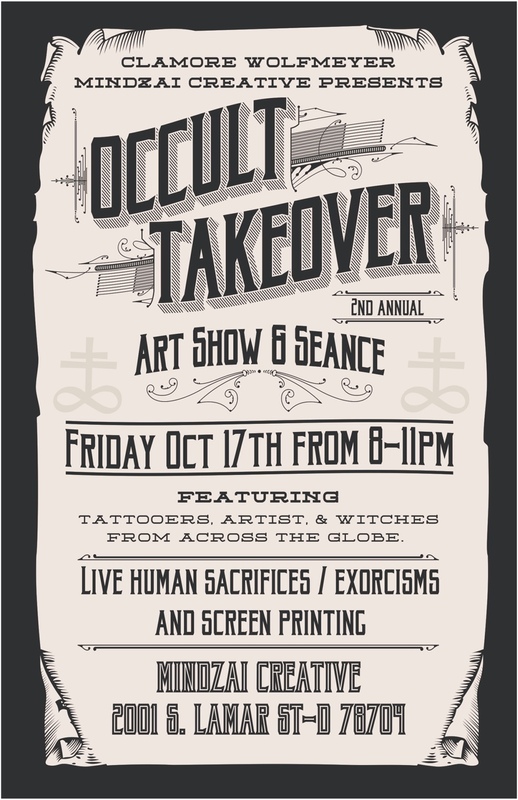 Tattooist Clamore Wolfmeyer is curating a group show at Mindzai Creative in Austin Texas on 17th October that’s sure to be of interest to Occult Vibrations readers. I’ve already seen previews dropping on Tumblr from the always impressive Dusty Neal and there’s sure to be more radness to come! 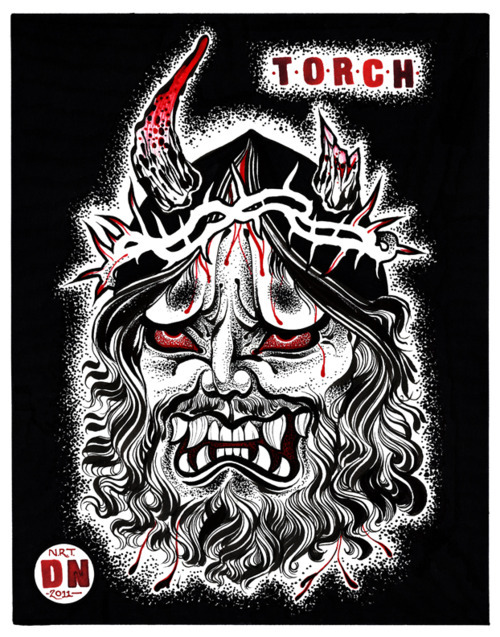 “This is a piece I just made for Torch Tattoo’s upcoming 1-year anniversary party and art show. I’m very proud to be asked to be a part of this show, as there are dozens of tattooers that I looked up to that will also be contributing. 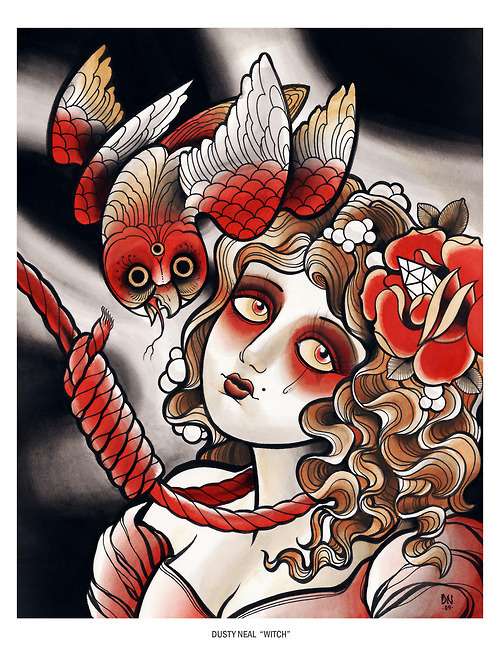 Dusty Neal is a tattooer who’s work crept up on me; I only recently started seeing work by him via his tumblr account and have been impressed with pretty much every piece that he drops onto it. I’m hoping to pick up a copy of his book Esoterica later on this week. Tattooers like him make me wish I had more open skin left. If you’ve got a tumblr account, do yourself a favor and start following him; you won’t be disappointed.